The definition of a Gastropub is “a pub, bar, or tavern that offers meals of high quality”, and not only Brickyard Gastropub strives and succeeds at offering this, they aim to elevate the concept of a gastropub to the next level by offering meals that are not only of high quality, but accompanied by the finest beers, wines, cocktails and spirits, served in an inviting environment by friendly and helpful staff. 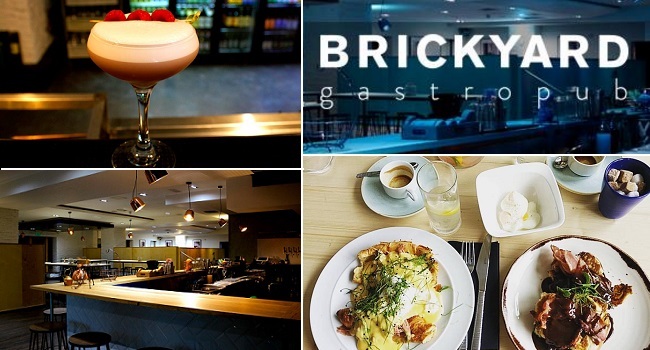 Enjoy a three course dinner for two people with a glass of Prosecco each at Brickyard Gastropub for only €50. This offer is available to use Monday to Thursday until the 31th of January 2017 (except between December 1st to 31st 2016). To see the full menu click here (This offer doesn’t include the “Butcher’s Cut”). – The “Butcher’s Cut” dish is not included in this offer.